The 20ft. 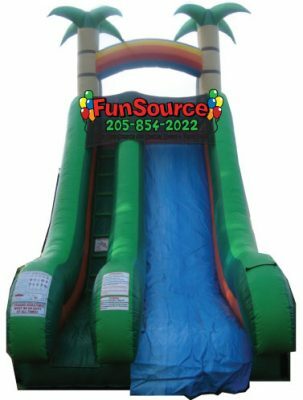 Double Lane Backyard Slide is perfect for your backyard birthday party, family reunion or special event. 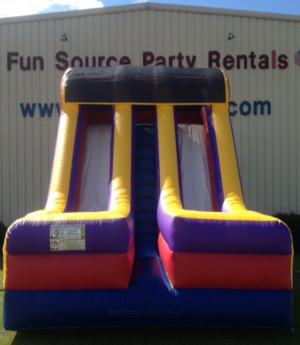 This slide is made to accommodate the party that has a little higher attendance. The 20ft. 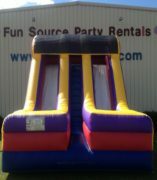 Double Lane Backyard Slide can be enjoyed by young and old with a weight limit of 250lb adult. 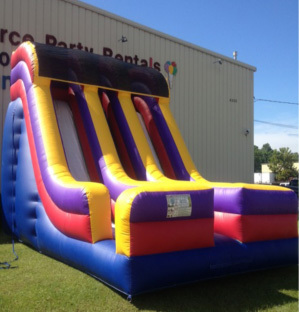 The center steps make the unit much safer when there are large crowds because the center steps centralize weight distribution. 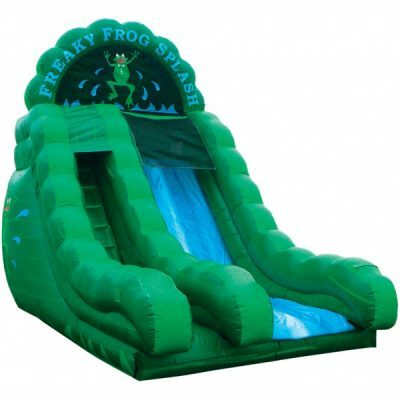 This attraction does not come with an attendant from Fun Source. 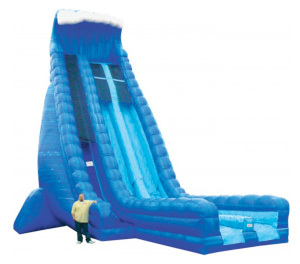 The 20ft. 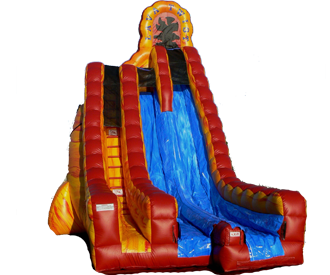 Double Lane Backyard Slide requires a 110v regular household electrical outlet.